Truth by Kbaig: New Propaganda of America After 100 Days of Operation Against Osama…! New Propaganda of America After 100 Days of Operation Against Osama…! 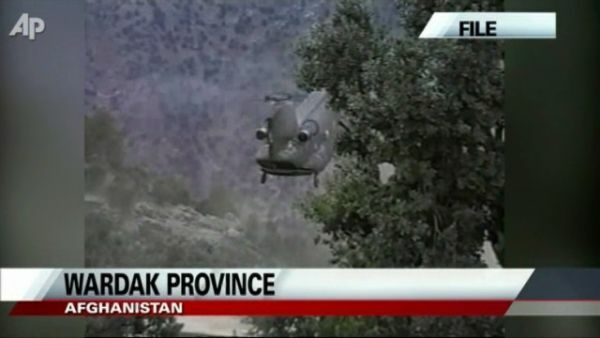 How strange it is that right after hundred days of Operation against Osama (just like an action packed Hollywood movie), Americans realized that the tail of the helicopter destroyed in Abbottabad might be important for China. Obviously would have given access to China to this helicopter and would have allowed Chinese experts to take pictures of this helicopter. First this hypothesis was published in US sponsored Western media in the form of an accuse over Pakistan, later on US officials confirmed it as well. This hypothesis or accuse has been given on such a time when large number of US scholars are not ready to accept the story of destruction of US Chinook Helicopter in Afghanistan by Taliban. They claim that these Navy Seals were killed just to remove any witnesses of Operation against Osama, and they are giving arguments in favor of their blame against US govt. American propaganda was so much effective over the access of Chinese to the remains of destroyed helicopter that not only Pakistan but also China had been forced to reject American claims in clear worlds. Because in the other words not only Pakistan but also China was also accused of theft, (no one is there to question US bandits). This had effected China’s credibility, perhaps this is why China took this seriously, and the Chinese foreign ministry which prefers to remain silent over international affairs, thought it necessary to issue a clarifying statement. It was also necessary because if through such cheap accuses US wants to pressurize Pakistan than why it is including China in this drama? When the China reacted to American allegations, at that time a high priority American envoy was in China under leadership of Vice President of America to ensure Chinese that in spite of economical crises Chinese investment in USA is safe (China is the number one creditor of USA). Possibly American allegations against Pakistan might be acceptable for innocent public of USA and voters (The Presidential Campaign has been started there). However well educated persons having keen eye over international politics have started questioning American allegations in spite of accepting them. They are of the view that if the Navy Seals having conducted successful operation against Osama has thought it necessary to destroy the central part of the downed helicopter (just for that no one can get access to stealth technology) than this was their duty to destroy tail of the helicopter made up with modern technology. Some writers are of the view that those who planed this operation and took part in it should not only be questioned but also brought to trial for their criminal negligence. When the phony Abbottabad operation came out, I immediately understood what happened. I also saw much potential good from it other than the tragedy of the dead Americans from the crash. I wrote of this and see their deaths as more heroic than many recognize. They died to erase for all time remnants of the Bush era fairly tale of badguy and evildoer Osama bin Laden. Enough good men had died chasing a ghost who lived only in phony video and audio tapes by “Bin Laden Studios” in Tel Aviv and in the continual “boogeyman” rhetoric of professional fear mongers. Al Qaeda has never existed; there are no magic worldwide terror conspiracies other than those run by governments. There are several of those and I have written extensively on these. Google will help you with this if you are curious. But what actually happened; astonishingly the report of Osama’s presence in Abbottabad paralyzed the nerves of Pakistanis, the news report was unveiled by Americans in such a way that Pakistanis could not think anything except feeling shocked and ashamed. Whatever American defense ministry said we bowed our heads against it, no one dared even to raise a partial question, otherwise this could have been asked, “dear Uncle Sam! 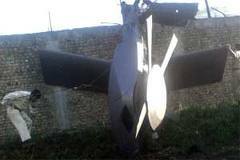 Your helicopter has crashed, obviously someone was present in it, someone should have been flying it, where are all of them?” Our media is entrapped in internal affairs and busy in propaganda against Pakistan army, however international defense analysts are raising questions against American claims. Especially the interview of a person named as Muhammad Bashir has been of much importance for them. Muhammad Bashir is the nearest neighbor of alleged Osama compound in Abbottabad. There is only an empty plot in between the house of the Bashir and Osama compound. This interview about the operation was taken by Fariha Idrees anchorperson of News Beat program, in this interview she verified the National Identity Card of Bashir and verified his residency from other residents of Bilal Town. This is the reason that Muhammad Bashir has become the important topic for many international writers. Paul writes that after 24 hours this TV Channel also started supporting the American claim that operation against Osama was successful in spite of no resistance from Osama and his dead has been buried at sea. But his story has so many defects that it could be questioned anytime, but it seems US officials has sent this message to Pakistani media that question against death of Osama will be treated as favor to Osama which means supporter of terrorism, while proving anyone terrorist is not a problem for USA. These Americans are casualties in a game, one like 9/11, sacrificial pawns, like Britain’s 7/7, all lies, all theatre, all evil. 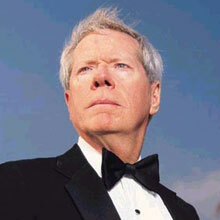 Whether it is Paul Craig of Gordon Duff, they are unveiling American govt. lies just like many other writers of USA, whether they are about presence of Osama and death in Abbottabad, mass death of US Navy Seals in Afghanistan or about the access of Chinese to the remains of destroyed helicopters. They are demanding answers of many questions but they have not been given any satisfactory answer. But what are we doing, we have no time from digging roots of our country?? ?